Multiple copies of the same email become very irritating for both sender and receiver who send and receive that particular email. Managing the mailbox of Outlook in a systematic way becomes really difficult because the receiver will have that same email many times in the inbox and sender will have that same email many times in sent items folder. Having duplicate emails in the mailbox is one of the most annoying things that irritate users the most. This improper functioning of Outlook has now become the common problem of the email application users. Thus, this blog discusses the several causes and solution to resolve the Microsoft Outlook 2010 sending duplicate emails issue that a user can use without any hassle. Author’s Advice: Improper functioning of Microsoft Outlook can damage the data file either a PST or OST file. Always take a backup of your current and healthy data file and keep safe from virus attacks. PST file is a default data file of Outlook 2019, 2016, 2013, 2010 and below versions. PST file stores all your Outlook mail profile emails, contacts, calendars, tasks, etc. As per suggestion always take backup of Outlook data files and keep Outlook PST file error-free. There are many Outlook errors which occur PST file corruption, Use Outlook Recovery Software to keep Outlook data files healthy. Why is Outlook Sending Multiple Emails with Attachments? One of the major factors that Outlook sends multiple copies of an email is anti-virus software is integrated with MS Outlook application. The reason behind this is that anti-virus scans each and every outgoing email also due to which this duplicate emails issue occur more frequently. 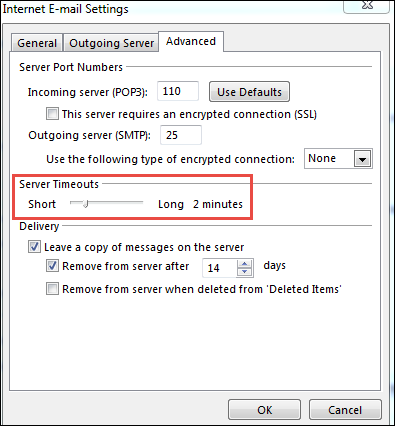 Another major cause of MS Outlook 2010 sending duplicate emails issue is the short time interval, for example, less than 6 minutes is set up between send/receive connection. It is because when the email is uploaded to the server, it can also be possible that next send/receive connection is build up before the first one completes. In this, sometimes message is still present in the Outbox and submitted again to send before it is received by the receiver. This is the most common reason due to which repeated emails are sent and receive again and again. The IMAP and POP accounts are responsible for the slow connection to the mail host. It tells the Outlook when to consider that connection is lost i.e. when no response is generated from the server in the default time i.e. 1 minute. It is the time when the connection is really weak and reaches to timeout. Due to this, it resends the message when the Send/Receive connection is rebuilt. This will generate the multiple copies of the message when submitted to the server and there is no acknowledgment message received before timeout. These are all the major factors that send multiple copies of the same email. As know it is pretty much clear why this issue arises in MS Outlook. Therefore, now it is easy for a user to tackle the problem and fix Outlook 2007 sending duplicate emails issue. There are different approaches available that a user can use to solve this Outlook is sending multiple copies of the same email problem. However, solution to fix the Outlook varies from cause of the occurrence. Thus, here in all possible solutions depending upon the cause are covered. If Outlook sending multiple copies of email with attachments, it is always suggested to turn off the anti-virus if it is integrated with MS Outlook. Because it does not create any problem but increase the performance of Outlook. After that, a user can try to send the message, if does not generate duplicates then, the problem is due to anti-virus only. If there are more than two tasks present in the dialog box, means send/receive time interval is set to very small. Note: It is always advisable that do not set the time short than 5 minutes. However in the case of multiple accounts, set it more than 10 minutes. To maintain the continuity of work, emails always play a vital role. However, there are some situations in which Microsoft Outlook sending multiple emails with attachments, which creates trouble for a user. Therefore, in this blog, all causes that raise this issue with their respective solutions are discussed. 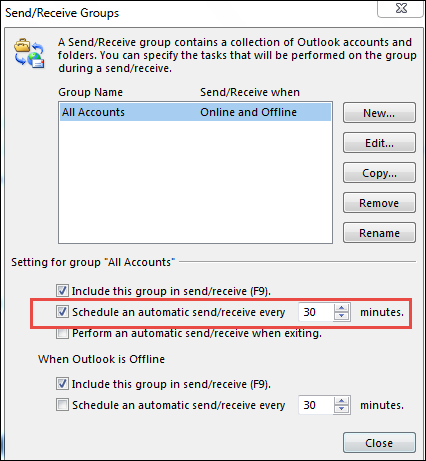 One can easily refer them and resolve duplicate emails issue from MS Outlook.